What happens when 20-something’s who defined a generation of lost adolescence begin to age? They reflect. Not on the distant nostalgia that dominated their daydreams, but those moments when they were aging themselves; lying in the spotlight of the bustling Indie scene. That’s where we find Avey Tare, Panda Bear, and Geologist, three of the main composers behind Animal Collective, all nearing dreadfully close to their midlife crisis. Creative innovators at a time when the merger between natural and synthetic was beginning to bore, the group bred a movement centered around expressionism through wanderlust. In essence, they created a zeitgeist for themselves. So what happens when it begins to fade, the tenure of a supreme dosage of imagination begins to wash up? It becomes forced. Hindsight always favors the future, and while 2009’s Merriweather Post Pavilion seemed initially as a group yet again topping their increasingly peculiar sounds, it was really the end. The proper finale to youth. The decade was closing, family dogs were passing, children in need of sheltered homes were being born. It was Animal Collective’s swan song, even if none of us knew it. From then on they stopped making music to satisfy the urge of escapism and started making sounds living through the eyes of their children. Painting With is a continuation of that, deepening the commitment to chaos that fills a child’s mind. Earlier, more introverted AnCo releases brimmed with primordial goo, capable of bending and flexing their Psychedelic droning into something that, in an alternate fantasy world, could’ve been orchestrated by the cavemen as they lurked in the bushes, hunted by now-fossilized giants. That’s why, in their attempt at revisiting the creative force leading Sung Tongs, Feels, and the like, the group, stationed at EastWest Studios in Hollywood, displayed dinosaurs and other ancient imagery across their walls. While that influence is clear and palpable, hell on ‘Hocus Pocus’ they instantly namedrop dinosaurs as tribal drums banter in the background, the situational awareness for space is not. See with Painting With Animal Collective decided to strip back their most crucial component; that of the longing, dragging drone, utilized beautifully in their earlier works. They set the atmosphere, allowing the more personal Pop moments (like when ‘The Purple Bottle’ ceases tension by creating a masterpiece) to bloom. 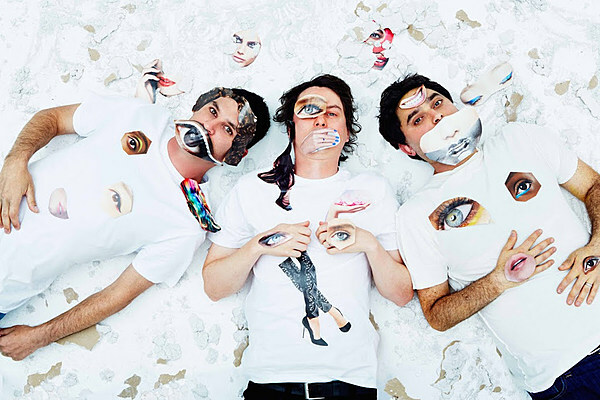 In an expeditious attempt at capturing their youth, Animal Collective deliberately did away with the moments that most reminded them of maturity. Nothing here escapes five minutes, and most last no more than your radio-friendly length. Disappointing in knowing that their best works often relied on growth, scale, and internal sequencing. In preparation of Painting With I decided to do something interesting. Having heard every LP-form release of theirs I resorted to seeking new EP’s found nestled in between their larger works, all in an attempt at comparing fresh works, in my eyes, to each other. From the Sung Tongs era came Prospect Hummer and from the Strawberry Jam era came Water Curses. Doing this was not a good look for Painting With, an album that provides constant eye sores in the wake of 2000’s AnCo creative blossoming. Their 10th LP has only been out a couple days and yet I’m already more interested in visiting, or revisiting, their earlier works. That’s how narrow Painting With is; a collage of Dadaism so focused on merging sounds, styles, and vocals that the overall palate becomes, at times, nauseating, and at best, bearable. It’s a regression to their more limited moments in school, where synths, pedals, and ambience dominated their sound, but rather than spread it through a gooey mold they sped it up in a vacuum. The variation’s between songs come so seldom, on a whole, that its hard to pick out favorite moments. You either take pleasure in the cacophony of hyper synths, drums, and vocals, or disdain them for the sheer monotony. When they thrived Avey Tare and Panda Bear had a way of making more accessible music whilst also making it more experimental. It was shocking hearing songs like ‘Summertime Clothes’ blend Pop-infused vocals with an Industrial soundstage. On Painting With though, both those extremes have been sucked to the middle, resulting in something that hardly latches with pure fascination or piques constant intrigue. Some songs, like ‘Bagels In Kiev,’ play tug of war for each side, resulting in a jarring submission of minds. These are surprisingly the best moments, ‘On Delay’ and ‘Lying In The Grass’ included, where you can at least see the light at the end of each tunnel on the horizon, although it never quite reaches the destination. The biggest blunder though was a stylistic attempt at switching things up, by merging the two vocalists, resulting in a bizarre discordance that appears on over two thirds of the songs. Rather than hand off songs to each other, as they did in the past, the two singers switched off syllables, chaotically swirling the instrumentation in a frenzy where ordnance is a long foregone thought. ‘Hocus Pocus,’ ‘Natural Selection,’ and ‘Summing The Wretch’ are utterly ruined by this strange decision, becoming so disorienting that it can’t help but be the primary focus; like someone falling and missing steps in an otherwise methodical dance line. A shame too, because while the production isn’t stellar, and does resort to tendencies brought on by the distancing from childhood, it isn’t bad. There’s flourishes of another Baltimore-based musician here, Dan Deacon, on ‘Floridada’ or ‘Recycling,’ where synths, in short bursts, playfully cascade around each other. Spurts of their past do flock up, like the instrumental chorus of ‘Bagels In Kiev,’ which might be the catchiest thing here, and the effectual transparency on ‘On Delay,’ that uses pulsating bass brilliantly. Also disappointing thanks to the obsession of multi-layered vocals is the lyrics, which seem to be on par with AnCo quality, if ‘Floridada,’ ‘Vertical,’ and ‘Golden Gal’ are anything to go by. They tip toe the line between curious fantasy and devastating reality, making points on current climate cultures through the mouth of a toddler. That’s not an insult mind you, it’s actually an engrossing way of getting across a point, where things don’t quite make sense but given time they snap into focus. It’s just a shame that for artists flooded to the brim with unique ideas, so much so they had to leak them onto EP’s, Animal Collective has virtually none here, other than the overall dominating one. One song of lawless, jungle rhythms and disruptive vocal blabber would’ve been enough, twelve however sees a group struggling to get their creative juices flowing again.